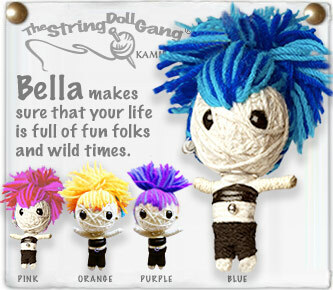 Fun key chain dolls made out of one continuous thread of string, approx. 3" tall. More available, E-mail us with any inquires!